The organisers of the inaugural Business Book Awards are delighted to announce the winner of the Thought Leader category is Eric Ries, author of The Startup Way. The winner of this category was decided upon by a majority vote of the judging panel, lead by Carl Reader, Leading expert and advisor to small businesses; columnist and author. 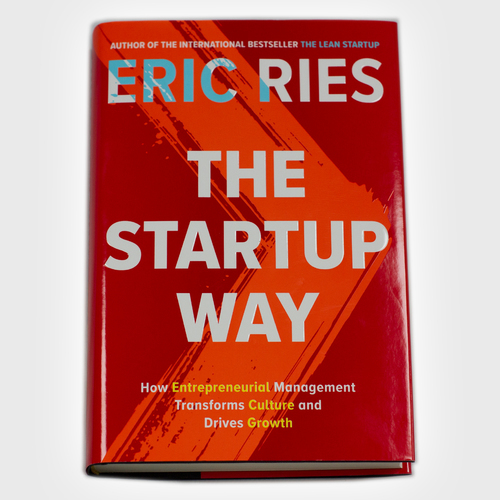 Eric Ries is an entrepreneur and the author of the New York Times bestseller The Lean Startup, which has sold over one million copies and has been translated into more than thirty languages. He is the creator of the Lean Startup methodology, which has become a global movement in business, practiced by individuals and companies around the world. The awards were hosted by Nadine Dereza, a business presenter and experienced conference chair and Simon de Cintra who has recently left the corporate world to train as a professional actor. The event took place at the Grange City Hotel in London where the authors of this year’s best business books gathered to celebrate the first Business Book Awards. Other nominated authors in this category were Daniel Priestley with ’24 Assets’, Julia Hobsbawm with ‘Fully Connected’, Darren Bridger with ‘Neuro Design’ and John O’Brien and Andrew Cave with ‘The Power of Purpose’. This press release was distributed by ResponseSource Press Release Wire on behalf of Business Book Awards in the following categories: Men's Interest, Entertainment & Arts, Leisure & Hobbies, Women's Interest & Beauty, Business & Finance, Education & Human Resources, Media & Marketing, for more information visit https://pressreleasewire.responsesource.com/about.